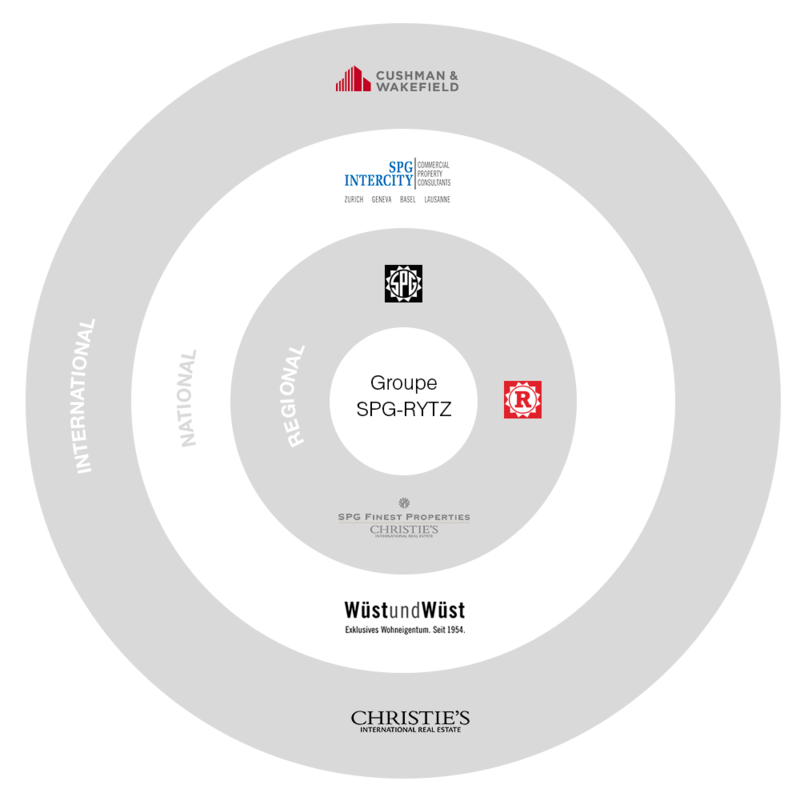 Société Privée de Gérance (SPG) in Geneva and Rytz & Cie in the canton of Vaud form the SPG-RYTZ Group, whose network of competencies has kept growing over the last few decades, thanks to a strategy of controlled expansion that is also humanly responsible. The SPG-RYTZ Group opts for a long-term vision of its business and maintains a lasting, trust-based relationship with its customers, partners and employees. The Group’s management is attached to the close relationship it has built with tenants and its owner-customers over the years, and is proud of the human dimension of its services. The size and reputation of the SPG-RYTZ Group offer their customers guarantees of the company’s solidity. A substantial volume and a wide variety of properties allow anyone to access quality offers, whatever the needs. The SPG-RYTZ Group’s field of expertise currently relies on solid alliances, developed in a family spirit attached to the enhancement of property assets.